Scoops tortilla chips, loaded with taco fixins, topped with cheese. 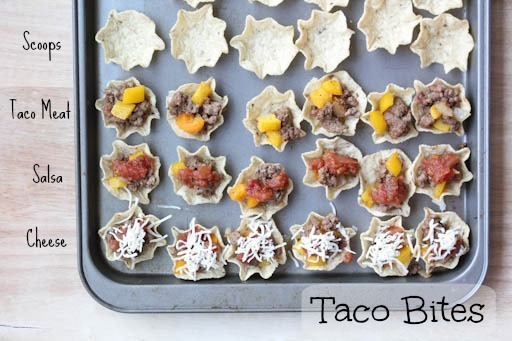 Best part…if you can get a little buffet/assembly line set up…you can let the kids make their own taco bites, put them in their own row on the baking sheet and let them serve themselves once the cheese has melted. Makes for a fun family meal prep – and yes…it might get messy…but it’s the memories in the mess that matter! 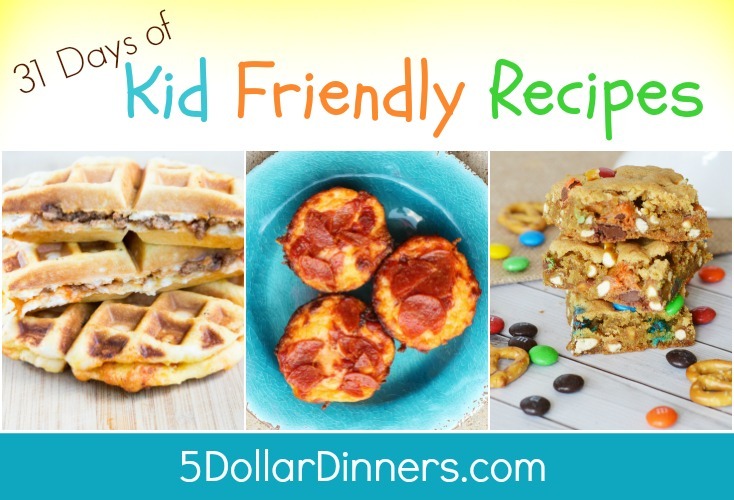 See the Kid Friendly recipe for Taco Bites here!